she doesn’t have to share the food with her brother Piper. 2) She is also learning that it is hard to stand on a slippery fish – on a slope no less – and eat it. Sorry about the shaky video. 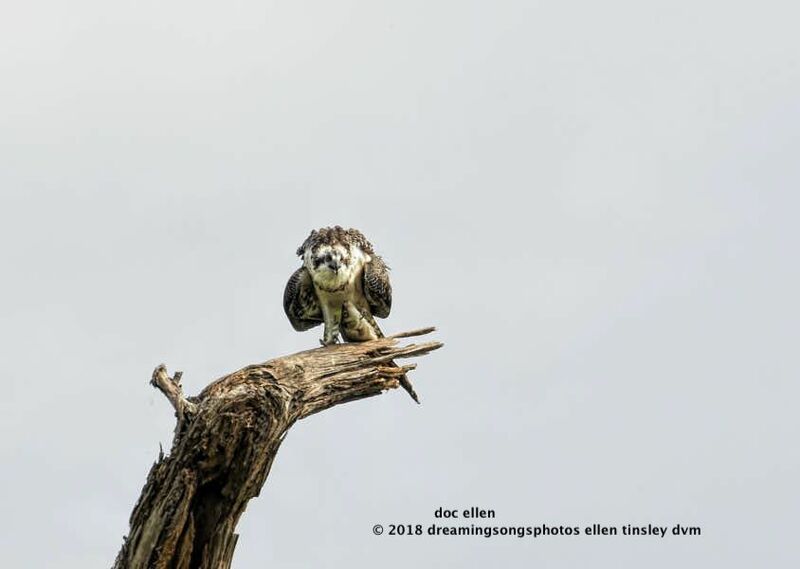 Posted in birds, Jordan Lake, Jordan Lake State Park, ospreys of Jordan Lake, photography, raptors, wild birds and tagged as Broken Feather, Jordan Lake, Jordan Lake State Park, osprey, osprey feeding, osprey female, osprey fledgling, Ranger Cove, raptor.